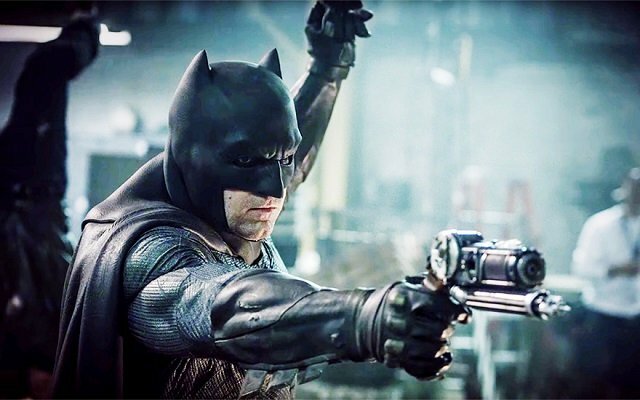 Ever since Matt Reeves officially took point at the helm of The Batman – after much deliberation, we might add – there have been scores of rumors and bite-sized tidbits relating to the director and, more specifically, his modus operandi. From Hitchcock to Rocksteady’s celebrated Arkham video game series, Matt Reeves has cited a number of key inspirations when discussing his own take on Gotham’s Caped Crusader and now, while promoting War For the Planet of the Apes in an interview with Uproxx, the filmmaker stressed that he has a very specific idea in mind for The Dark Knight’s next solo outing. Filming on The Batman isn’t likely to commence until 2018, but that has in no way quelled excitement for the DC standalone pic. After all, Matt Reeves has just delivered the one-two punch of Dawn and War For The Planet of the Apes, so it’s only fitting that Warner will hold fire until next year before the cameras begin rolling. Because as Reeves reveals to Uproxx, it seems the studio has been overly accommodating when it comes to his DC tentpole, specifically in the story department. Studio meddling was one of the factors that purportedly hampered the production of David Ayer’s Suicide Squad, so perhaps the company is taking a more lax approach with the DC Extended Universe – within reason, of course – to allow for a greater degree of creative freedom. It certainly worked for Patty Jenkins and Wonder Woman, so why not Matt Reeves and The Batman? I remember this on Dawn, too. There would be moments where I came in for a pitch that was a certain version of the movie, and somewhere along the way, because they didn’t know me or whatever it was, they’d say, ‘Why don’t we do this?’ And I would just simply say, “But that’s not the movie that we talked about. That’s not the movie I want to do.’ And I have to say that they always backed down when it came down to that. It’s kind of the way that I’ve always done it. And here’s the thing: I’m always happy not to do something. I’m usually looking for the reason to say no. Beyond the release of Justice League in November, Warner Bros. and Matt Reeves will join forces to launch The Batman, and it may well lay the foundations of an all-new trilogy for Ben Affleck’s Caped Crusader.